CREDIT: Hunt, Samuel Valentine, engraver. 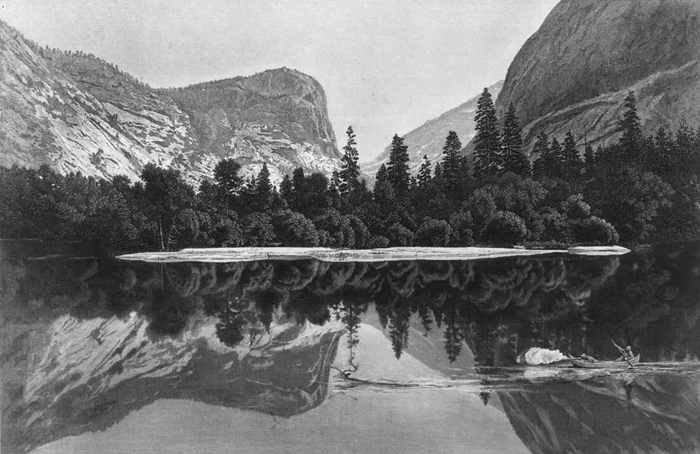 “Mirror Lake, Yosemite Valley,” ca. 1872. Prints and Photographs Division, Library of Congress. Reproduction Number LC-USZ62-52627.